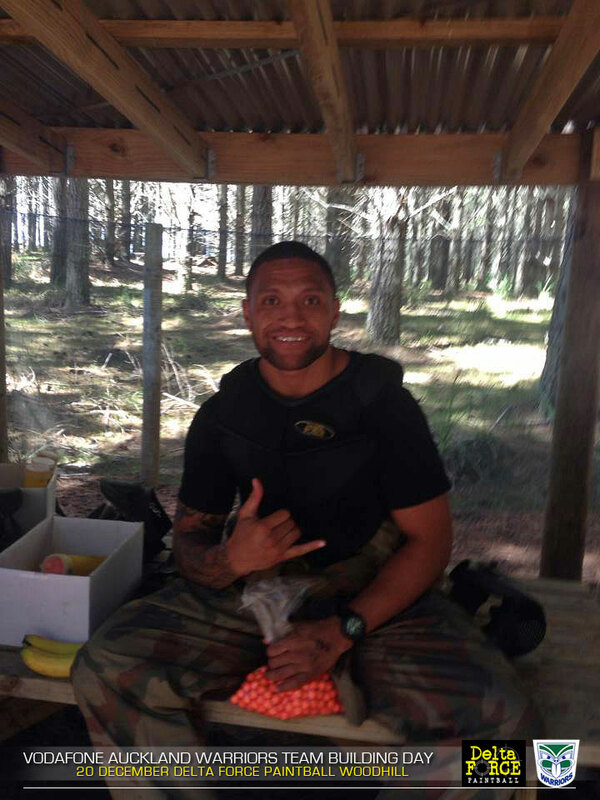 The Vodafone Warriors had a different area of operations from the footy fields they are used to when the team took to the battlefields at Delta Force Paintball in Woodhill Forest today for their 2014 pre-season training. Head coach Matthew Elliott understands the importance of team bonding from the beginning of the season and he wasted no time in gathering the troops for a day of outdoor adventure full of high voltage action that will strengthen team morale. It was an absolute perfect team building day with the Vodaphone Warriors benefiting from a whole new level of trust and commitment as they ducked and weaved between the giant movie quality Tomb Raider and Tropic Thunder game zone props. The Vodafone Warriors displayed impressive skills out on the paintball field with several team mates showing exactly why they were amongst the NRLâ€™s most competitive and feared athletes. The structured objectives provided by the Delta Force Paintball staff offered an array of opportunities and strategies for the Vodaphone Warriors to show the determination that also makes them a force on the football field. Winger, Manu Vatuvei believed the paintball event was a success and provided the ideal backdrop for some of the younger players to show off their skills against the older team members. In recent years professional NRL teams have looked for new ways to focus on team morale, improve cohesion on the field and unearth future leaders. 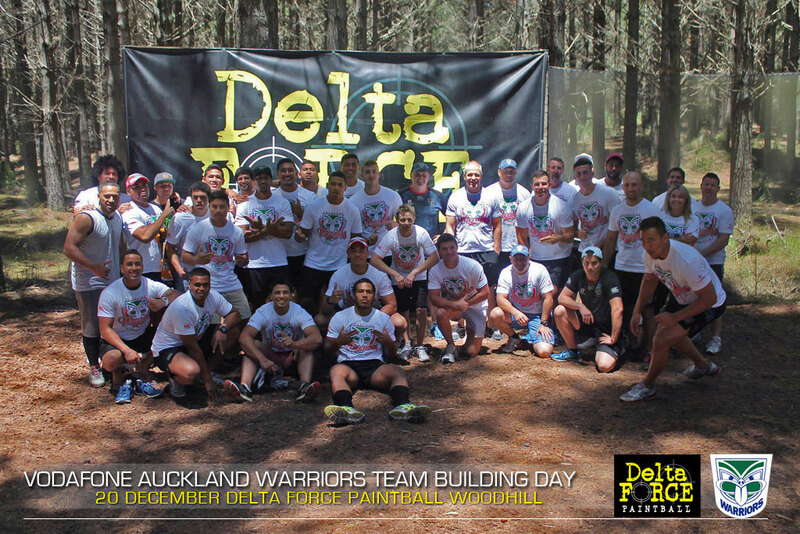 Paintball is growing in popularity as a team building event amongst the sporting elite with Delta Force Paintball also recently hosting the Auckland Blues, Manchester United and the Parramatta Eels.